Hubble tracking error image, click image for full size. 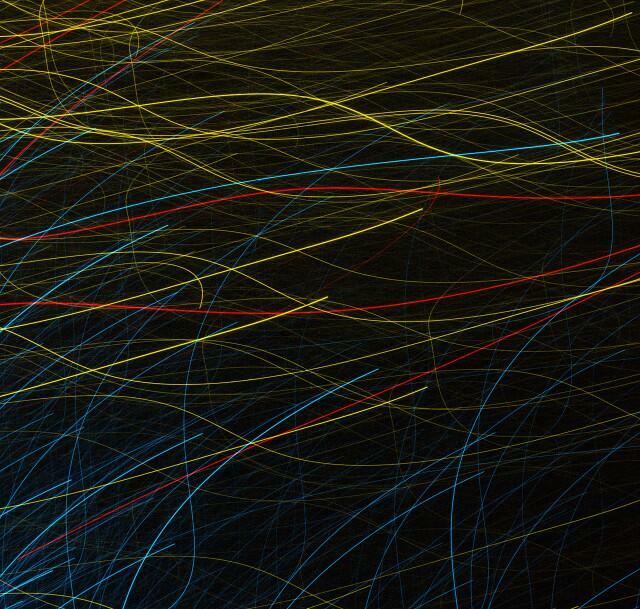 This is actually a Hubble tracking error image, the original can be found on the ESA website. Now normally with a tracking error image we expect all the stars to have parallel tracks, which is obviously not the case with this image, the question is why does it look the way it does. The answer is in how Hubble takes colour images. Now when you whip out your iPhone or DSLR to take a photo, you take one picture and voila, a colour photo is generated. This is because in front of your image sensor is a filter mask (called a Bayer Mask) which contains microscopic red, green and blue filters that cover up the CCD or CMOS sensor in the camera. The reason such a mask is needed is that the sensor can actually only see light intensity and not colour. That's right the sensors in all our modern colour cameras are actually black and white! To make a colour image we have to put red, green and blue filters in front of the sensor. That is what the Bayer mask does. One quarter of the pixels on the sensor have a red filter, one quarter a blue and half the a green (green is used as the luminance channel so it has more pixels). The computer in the camera takes the information from each of the three channels (each a black and white image) and combines them to make a colour image. The HST was programed to take an image of an object through at least three filters. The on-board computer of the HST then picked a tracking star and then started imaging. When the tracking failed the imager kept blithely on taking images, some through the same filter, some through other filters. Since the tracking had failed no two images had the same field of stars in it when the imager was working. This is why it the combined image doesn't have all the stars in the parallel tracks that we expect with a tracking error. All because the image is made up of a stack of images taken sequentially through various filters, with the filters being assigned a different colour in the image. 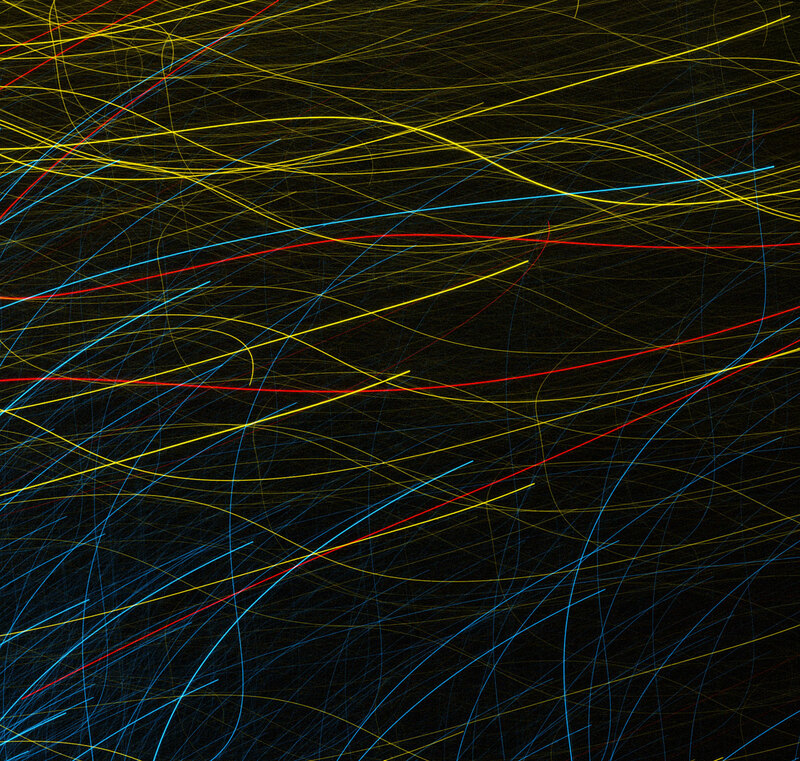 The result is an image filled with pretty coloured tracks that shows that science isn't perfect and that some poor astronomer had some of his observing time eaten up by equipment error.